Product prices and availability are accurate as of 2019-04-04 22:05:19 EDT and are subject to change. Any price and availability information displayed on http://www.amazon.com/ at the time of purchase will apply to the purchase of this product. 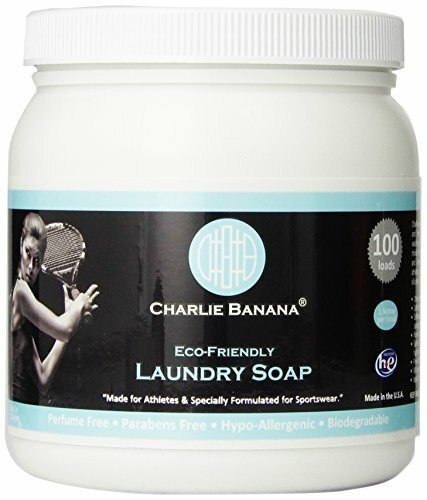 Charlie Banana® Laundry Soap is ideal for babies' clothes and for anyone with allergies or sensitive skin. Recommended for washing your Charlie Banana® cloth diapers. It dissolves quickly in cold water, rinses thoroughly, and leaves no residue that can make your clothes stiff and irritating. Great for lingerie and workout gear, too. 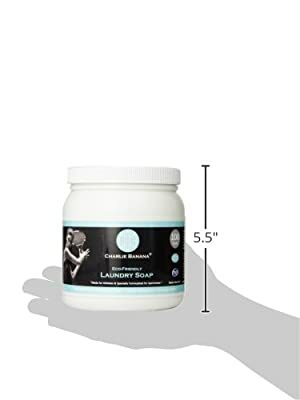 Contains no clay, dyes, phosphates, ultraviolet brighteners or perfumes Perfume free; Parabens free; Hypo-allergenic and biodegradable Natural washing soda, sodium silicate, and coconut oil based detergents.